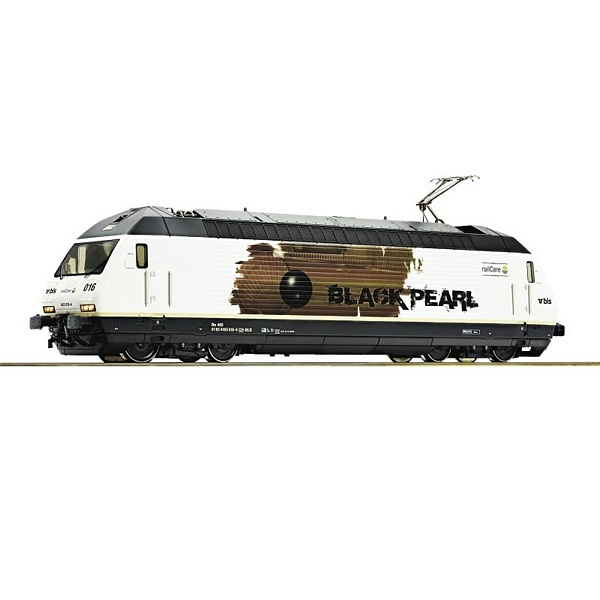 Electric locomotive 465 016 "Black Pearl" of the Swiss BLS. Model Description:Rich detailing on the model. Motor with flywheel. Drive on all four axles. The model features traction tyres. Interface according to PluX22 standards for the adaptation of a digital decoder. Coupler pocket according to NEM 362 standards. LED light changeover according to the Swiss original locomotive. With digitally switchable sound functions. Locomotive with current design as it is in operation for the company Railcare.